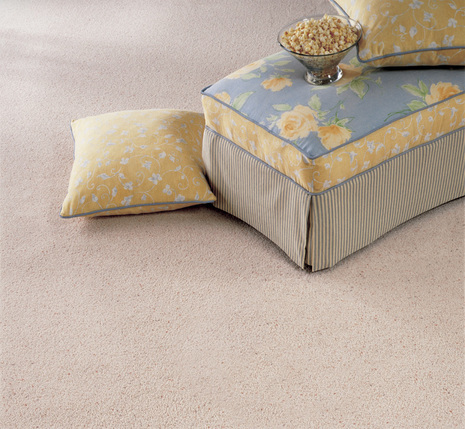 Carpet - The most widely used floor covering in homes today. 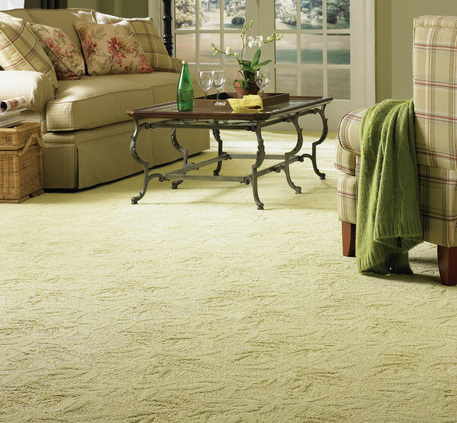 Warm and comfortable, carpet transforms a room with color, texture and style. 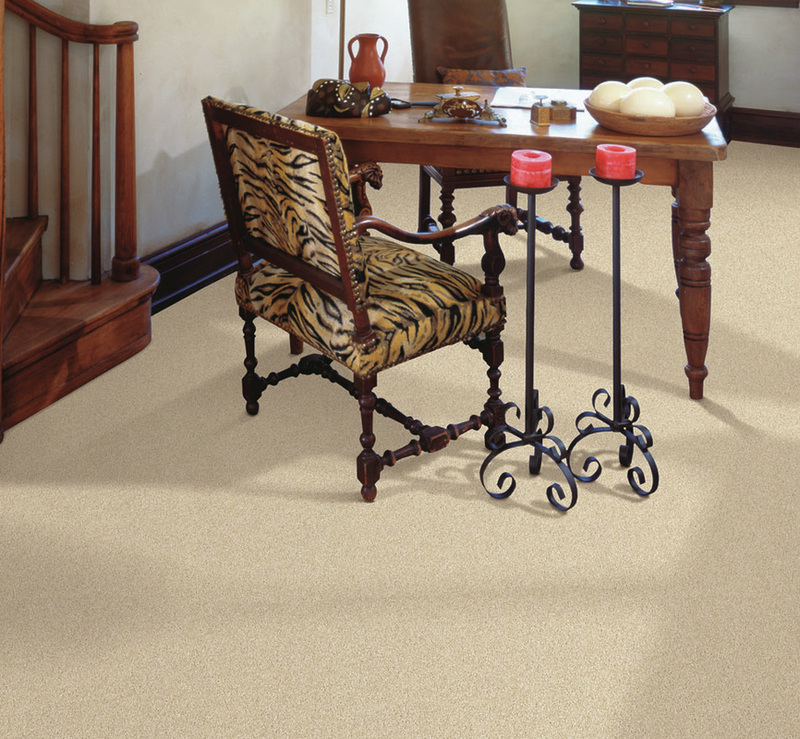 Once you've decided on new carpet, you'll want to shop smart. What should you know before you buy? Padding or cushion is the layer of spongy material between carpet and floor. It's the padding - not the carpet - that determines whether the carpet feels good or great under your feet. A quality padding can help preserve a carpet's look and can extend its life and comfort by providing tougher protection against wear and tear. Carpet covers a large part of any room, so it’s vital to consider some basic color selection guidelines when making your choice. First and foremost, expect that once your carpet is installed, the color will seem lighter than the sample you saw in the store. Don’t ask us why, that’s just the way it is – kind of like losing a sock in the dryer. Next, recognize how color affects the apparent size of a room. Lighter colored carpet seems to enlarge a room, while darker shades make the space feel smaller and more intimate. If you like to redecorate often or plan to move soon, go neutral. It’s easy to add color with accessories anytime you want to redecorate. And when selling your house, it is much easier for buyers to imagine their furniture in a room decorated with neutral colors. Unless your room is narrower than 15 feet, you’re going to have seams. Most carpet comes in widths of 12 and 15 feet, or occasionally 13 feet. The degree of visibility of your seams depends on the texture and color you choose, as well as the lighting and furniture placement in your room. Let's face it -- you get what you pay for! If you want your carpet to stay beautiful over time and handle foot traffic well, go with a higher quality, more expensive product. Look for great pile density and tighter twist construction for improved durability. 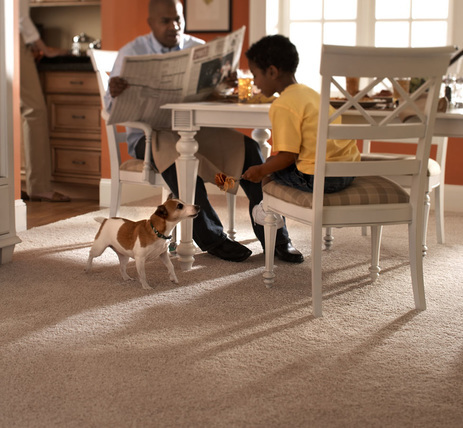 New carpet adds value to any home, so it’s an investment worth making. Would you like to see our wide selection of ceramic tile? At Tee's Flooring, we bring the samples directly to you.